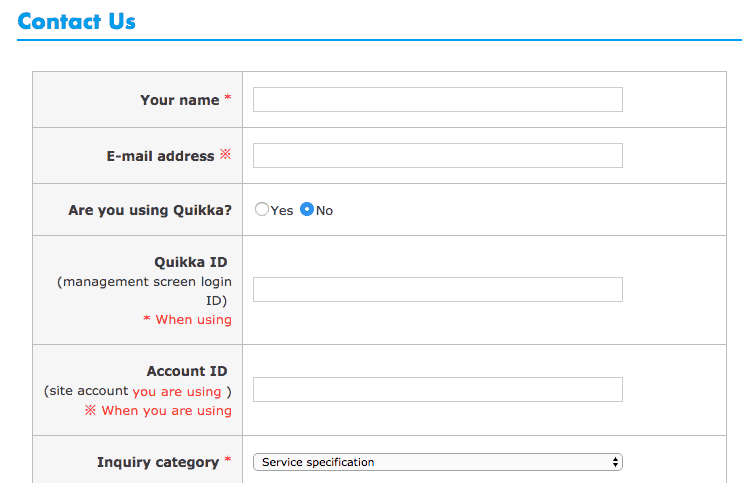 Quicca Review 2019: Is Quicca a Good Hosting? Quicca is a Japanese-based website hosting provider. The plans are affordable, but the trade-off is that some older versions of software are used. Quicca is a Japanese website hosting company, part of Mfuro Co., Ltd which was founded in 2004. Quicca currently hosts more than 1,800 websites and its website is only available in Japanese. The plans come with an installer for popular CMS programs such as WordPress, MovableType, NetCommons, PukiWiki, Joomla!, and Drupal, as well as cPanel access which is an easy to use control panel. The plans support PHP (only the twice as slow version 5.6) and CGI, as well as MySQL databases and FTP access. However, advanced coding languages such as Ruby on Rails or Python do not appear to be supported, according to the website. Cron jobs are allowed as standard in the premium plans, but in lower-tier packages, you can request them to be enabled. All of the plans include multiple domains and unlimited subdomains, which is generous added value. The plans are all well-priced. The lower-tier plans are very cheap and come with more than enough resources (e.g., 10 domains, 31GB transfer, and 10GB disk space in the base plan) for most everyday website owners. All of the plans come with a 10-day free trial, however, the downside is that the shortest term is six months. Alternatively, opt for a 12-month plan to benefit from an even lower monthly fee. Plans come with a free SSL certificate and domain name as standard. If you want to research issues on your own, there are quite a lot of useful resources, such as FAQs and user manuals which you can refer to. Or, you can contact them using the rather long-winded online contact form. I did try to contact them via the form and I was disappointed to not get a reply. That said, I did email in English, so I can understand if that was a blocker for this Japanese company. I would have tried another contact method, however I was unable to locate any other methods on the website. Quicca is a Japanese company with 60 employees and 60 million Yen in capital. The plans are affordable, but some of the versions of the software are outdated. Buy Japanese hosting now at Quicca! Wondering how Quicca stacks up against other Web Hosting companies? Enter any other Web Hosting company and we will give you a side-by-side comparison.